Campbell Brown Fails To Understand How The Teacher Discipline Process Works And That's A Shame! Failed journalist and pseudo-reform advocate, Campbell Brown can't seem to understand that when teachers are accused of misconduct that they have "due process rights". These "due process rights" include a 3020-a hearing in front of a State Arbitrator that is approved by both the DOE and UFT. That's right! The DOE must approve the Arbitrator before that Arbitrator is allowed to hear cases against New York City teachers, something Ms. Brown fails to mention. Every year Arbitrators must be approved by both the DOE and UFT and if one or the other is unhappy with the Arbitrator's decisions, their annual contract is not renewed. Had Campbell Brown did some simple investigations of the 95 teachers she said should have been fired, she would have found that many of the best and most experienced Arbitrators, after carefully, weighing the evidence, or lack thereof, found that these teachers were not guilty of what the DOE charged them with. In fact, many of these Arbitrators are still hearing teacher misconduct cases as the DOE has renewed their contracts year after year. 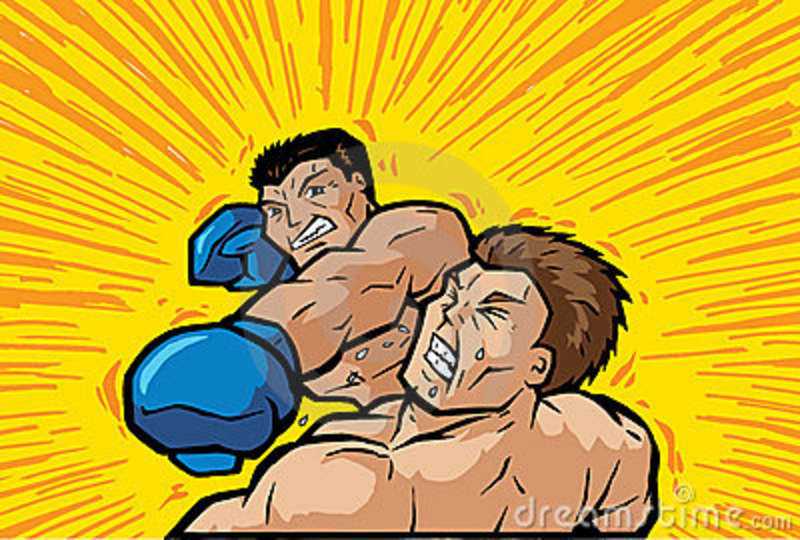 What do Arbitrators look for in the 3020-a hearings? Here is a list I wrote previously. Did the DOE meet the "just cause" standards? Did the evidence correlate with the charges? Did the defendant appear credible? Did the defendant show remorse and sorrow about the action? What was the defendant's disciplinary and educational record prior to the charges? 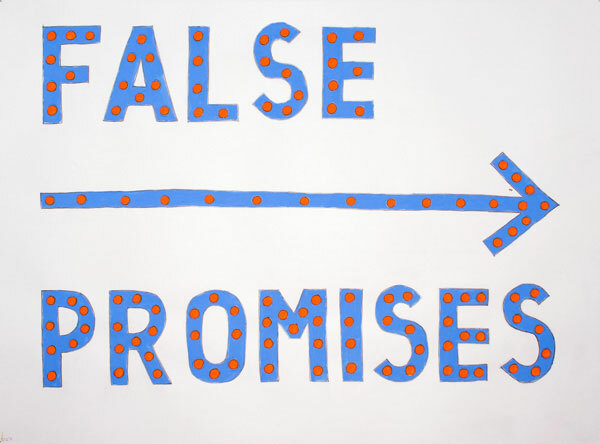 Did the DOE meet the "preponderance of evidence" standard? What was the quality of legal representation (both sides)? will uphold the DOE charges of misconduct and that is a much lower standard than the "reasonable doubt" used in the courts. Therefore, for arbitrators, it's about real evidence and supportable hearsay for them to find in favor of the DOE charges. 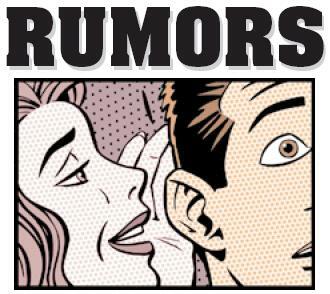 However, in many cases the DOE investigator's job is not to find evidence to support teacher misconduct but simply provide the rumors, unsupported hearsay, and gossip to substantiate the allegations that result in the DOE charges. Maybe if the DOE investigative process would be fair and unbiased, the 95 school employees would never have been charged in the first place since the DOE did not have the evidence or supported hearsay to make their case. The DOE's Corrupt Investigative Process. What does Mayor Bloomberg his poodle, the clueless Chancellor Dennis Walcott, and the failed journalist, Campbell Brown have in common? They all believe that real evidence of teacher misconduct is unnecessary as long as the DOE investigators substantiate the accusation, no matter how weak the case is. That's right, if the DOE investigators can substantiate even the smallest incident and the Principal wants that teacher out of the school, look for 3020-a charges to follow. 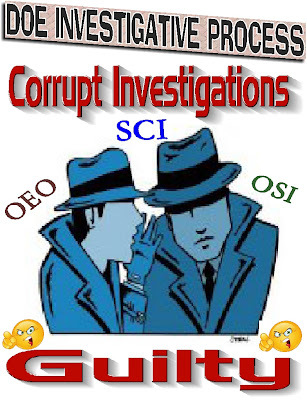 Time and again in my blog I have identified how the various DOE investigative units, Special Commissioner of Investigations (SCI), Office of Special Investigations (OSI), and Office of Equal Opportunity (OEO), will twist, pervert, and embellish the most innocent of actions as misconduct. Rather than rehash the points you can read these posts here, here, and here. They will tell you how the flawed and biased DOE investigative process works. 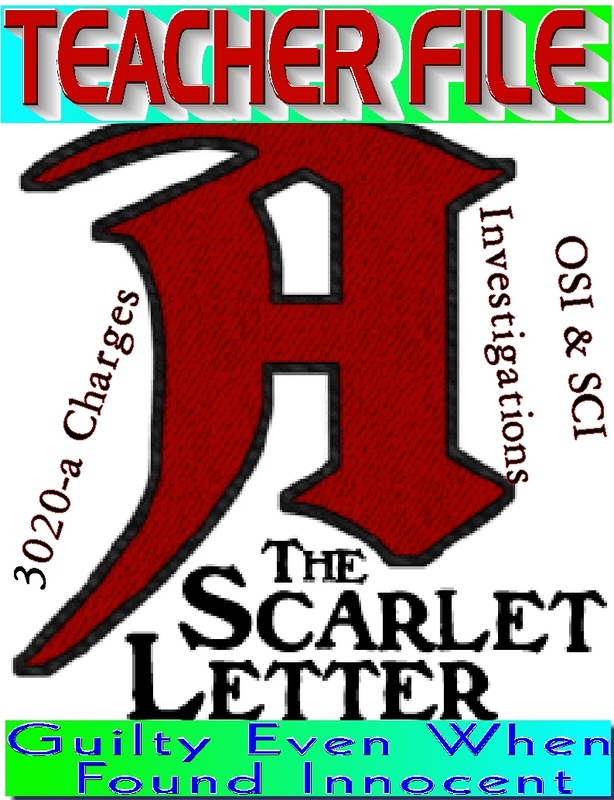 There are two constants for all DOE investigations that lead to 3020-a charges. The first is having a Principal target you. In almost all cases that lead to 3020-a charges it starts with the Principal. These principals will make"mountains out of molehills", or even when there are no hills to get the teacher subject to an OSI or SCI investigation. These principals understand that the DOE investigators do their best to substantiate the most trivial of actions to rid the Principal of the teacher they don't like or want and even lie just to get the teachers removed. Yes, investigators are caught in lies. However, it's of little consequence since their job is to show guilt and not the truth. 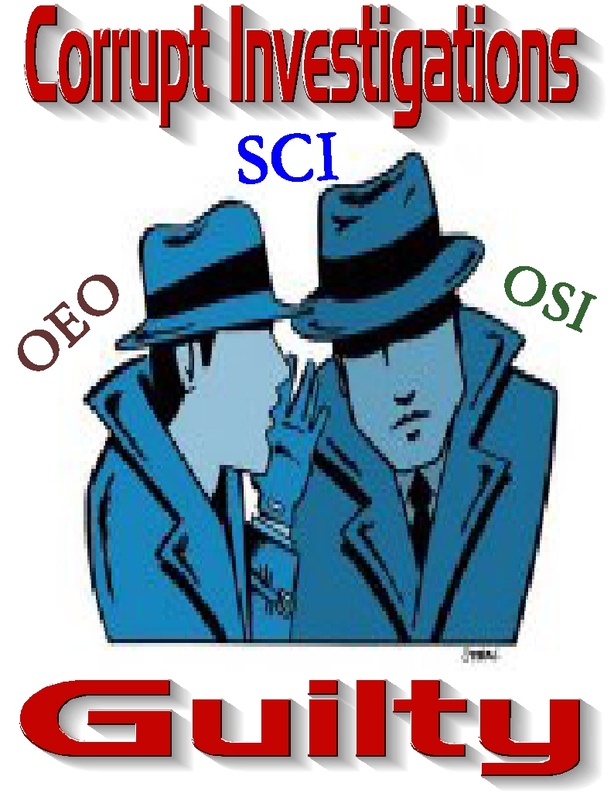 The second, is the investigator's presumption that the teacher is guilty of something and it's their job to find that guilt even if it means substantiating the unsubstaintiated hearsay or gossip associated with the accusation. Real evidence is unnecessary and is only a problem at the 3020-a hearing, not for removing the teacher from the school and the investigators know that. Sure, some teachers commit real misconduct and should be terminated. 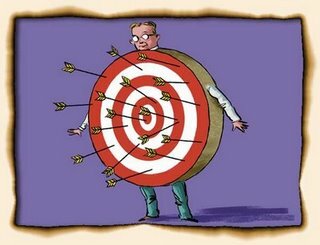 However, its important that teacher "due process rights" allow for a fair and independent hearing on the 3020-a charges and that should include the DOE investigative process which presently, is a "stacked deck" against teachers and is used by pusedo-reformers who want to destroy the teaching profession. Finally, never, never, never speak to these investigators. Let your lawyer or union advocate speak with them. They will take your most innocent statement and change it to make you look guilty of the allegations. 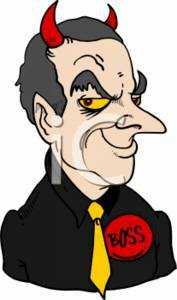 I am usually critical of my union for allowing Mayor Michael Bloomberg and his cronies at Tweed to poison and disrespect the teaching profession, especially, the classroom teacher. However, there are times when the union does step up and do the right thing. 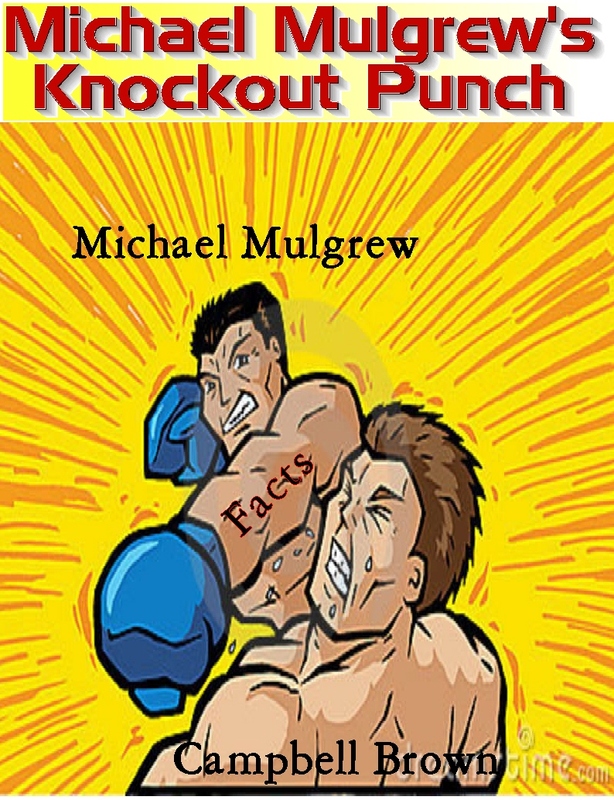 One of these events was when UFT President Michael Mulgrew responded to failed newscaster turned pusedo-reform advocate Campbell Brown's complaint that the union protects sexual predators in the schools. The exchange between the two can be found here. Ms. Brown asked Mr. Mulgrew if he would take a pledge and renegotiate the teachers' contract to allow the Chancellor to fire teachers accused of sexual misconduct, citing 128 DOE employees that she claimed did commit sexual misconduct and only 33 were fired. Mr Mulgrew responded in one of his best moments of his tenure by telling Ms. Brown that he does not pledge to her and that her definition of sexual misconduct cannot be based on a mere accusation. Mr. Mulgrew then went on to lecture Ms. Brown about how her allegations are misleading and how the system actually works. Mr. Mulgrew explained to Ms. Brown that the union agrees with the DOE that a simple allegation is sufficient for a teacher to be removed from having contact with children if a Principal so wishes it and if an Arbitrator finds that the teacher committed any sexual misconduct they must be fired. There is no discretion by the Arbitrator on this. He also told Ms. Brown that the reason the 95 DOE employees were not fired is because the charges of sexual misconduct were not proven to be true. Finally, Mr. Mulgrew ended his response to Ms. Brown by telling her to get her picture taken by the Daily News and stopped any further discussion on the matter as he proved his point that the union does not protect sexual predators. For people unfamiliar with the teacher contract here is what it says on page 120 of the latest edition of the teacher contract. 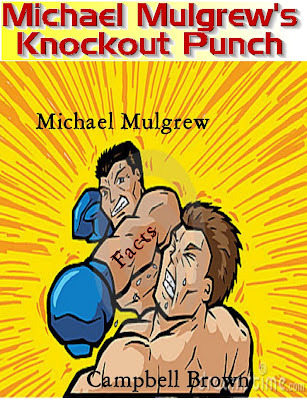 I must say that the exchange between Michael Mulgrew and Campbell Brown was a one-sided boxing match and the winner by knockout was Michael Mulgrew. Good job Mike! Only in the bizzaro world of the New York City Department Of Education (DOE) does a teacher who was found innocent of charges still is guilty of those charges. Yes, it's true! The DOE has flagged all teachers who were charged under 3020-a even when those charges were found to be untrue! In other words, the DOE will put a discipline flag on a teachers file if the accusation results in 3020-a charges regardless if the accusations were proven to be true or not. If you're a reader of my blog, you know that I have written extensively about the City's 3020-a process and how biased and flawed it is. However, what is little known is the discipline flag that the DOE places on a teacher's personnel file making it virtually impossible for those teachers to get an interview for vacancies. In other words the DOE has placed a "Scarlet Letter" on their files when principals and only principals can see when they access the teacher's file. Previously, I wrote an article about the discipline flag the DOE was going to do but I didn't realize that they actually went ahead and did it anyway. How could the DOE impose a discipline flag on a teacher's file if it's found that the teacher did not commit the misconduct that the DOE accused the teacher of doing? The reason is that they don't care what the evidence shows, as long as the DOE investigators substantiate the accusation. That brings me to the DOE investigative process. If you believe that the DOE investigators conduct a fair investigation then please read my posts on corrupt investigations or the Fairy tale. For anybody subject to these DOE investigations they all know its all about how the Principal feels about the teacher that dictates the tone of the investigation. If the Principal does not like the teacher it is almost guaranteed that the investigators will substantiate the accusation no matter how flimsy the evidence is. The UFT has filed a PERB complaint about the unfairness of attaching a discipline flag on teacher files when an independent Arbitrator found that the DOE charges for the stated misconduct was not upheld. However, it appears the union is not pushing their complaint with any urgency while in the meantime all those teachers who were found innocent of the DOE charges of serious misconduct have the dismissed charges on their teacher file as if the charges were found to be true. In other words, in the bizzaro world of the DOE, once charged you are automatically guilty no matter what the evidence shows at a 3020-a hearing. Now that is real serious misconduct. 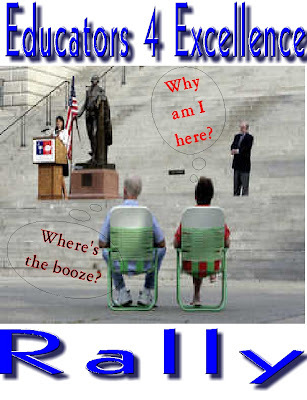 My Interview With A Disgruntled Education 4 Excellence Member. During the summer I was contacted by a teacher who wanted me to hear his story about joining and eventually leaving Educators 4 Excellence (E4E). I suspect his story is similar to many other disgruntled teachers who have joined E4E only to realize that this organization is a tool for education reform organizations and not what's best for the schools and the students. To protect him I will call him "David". David was graduating from a Midwest college when he was recruited by "Teach For America" (TFA) to teach in a low income urban school. He always wanted to go to New York City and got his wish. After receiving his five week training he was assigned to a school in the South Bronx in District 7 where he was greeted by the Principal. The Principal explained to David and the seven other TFA teachers that his school is the "proving ground" to see if you have the ability to survive the demands of teaching in New York City. On the first day, I was introduced to the "Chapter Leader" who told the staff that over 40% of the teachers we had last year are gone from the school. At the time I didn't understand why there was such a turnover of staff. However, I soon found out why. Many of the teachers left because of the challenging student population, lax discipline, and Administrative demands that required teachers to take up extra duties on an unpaid basis. Many teachers stayed to 6pm just to complete the paperwork and prepare for the next day, all for $46,000. Within the first week, I received a flyer in my mailbox that invited me to join an organization that represents the views of the teachers who are new to the school system. At the time I thought this was simply part of the union and I eagerly joined this organization (E4E) since they claimed to want more pay, better working conditions, and a say in education policy. It was easy to convince me after E4E plied me with booze and food while pitching their program at a get-together at a local bar..
During the first semester, I was contacted weekly by E4E to volunteer my time to convince other teachers to join the organization and to come to meetings about supporting the Bloomberg Administration's policy on eliminating seniority rights, and the evolving teacher evaluation system. At first, I believed everything E4E was advocating and it helped that my school had many E4E members and the Principal actually supported the organization by giving them access to the school. It was only near the end of my first year did I slowly realize that E4E was a small group, even a cult, that had only a handful of schools represented and these schools were staffed by TFA teachers and experienced high turnover rates, just like my school. With the summer off and time on my hands, I started to read the education blogs and blogger posts about E4E and was shocked and disappointed how the bloggers felt about E4E. They called them tools for Bill Gates, and Eli Broad, a fifth column, and how many of the E4E leaders were not even classroom teachers! I decided to start asking questions to my E4E coordinator once I started my second year and quickly realized that they were uncomfortable with me questioning them. At the first meeting in my school where E4E welcomed the next batch of TFA teachers the Principal had recruited (we had a 30% turnover rate, less left because of the recession). At the meeting I asked why E4E is not working with the union on common issues of interest? You would have thought I asked them to commit suicide. Their response was hostile that E4E represents the views of the 21st century teacher and not the old and stringent contract requirements that the union represented. I stayed as a E4E member but did very little work on behalf of the organization. The more I knew about E4E, the less I wanted to be part of the group. By the end of my second year, I became so disillusioned with E4E's increasing demands and rhetoric for its members, that I quit the organization. However, I found out "that once you're in, you can't get out". They wanted us to go to other schools and network with new teachers to invite them for food and drinks to encourage them to join. I was unwilling to waste my time doing that and I noticed that many of the E4E leaders were no longer classroom teachers and had no classroom assignments. When I asked one who I was particularly close to in my school how did he get out of the classroom and into a job as a "coach" in his third year of teaching. He smiled and said that the E4E leadership encouraged the Principal to make him a "coach" to reward him for his loyalty and recruitment success to the organization. Yes, it seems my Principal not only hired TFA teachers but was one of the select schools that encouraged teachers to join E4E and rewarded them for doing so. was inexpensive and not tenured. I took a position in Manhattan and decided to no longer be an active participant in E4E. This did not stop E4E from contacting me repeatedly to help them recruit and keep including me as a member. I finally, cut all ties with them when they refused to run a slate in last year's UFT elections and I soon realized that they were a fringe group that is not supported by teachers but is propped up by outside education reform groups that want to deprofessionalize teaching and make it a temporary stopover on one's path to a real professional job that can support a family. I will be starting my fourth year in teaching and hopefully receive tenure as I now realize what a dope I was in thinking E4E cares about the teachers in the trenches (classroom). Rather they are a tool for outside interests that want to destroy the power of the teacher unions and make the teaching profession a low wage, temporary job. Finally, I have realized that the goal for many of the mid-level E4E members is not what is best for the students but the quickest path to achieve an education policy position and leaving the classroom as fast as possible. 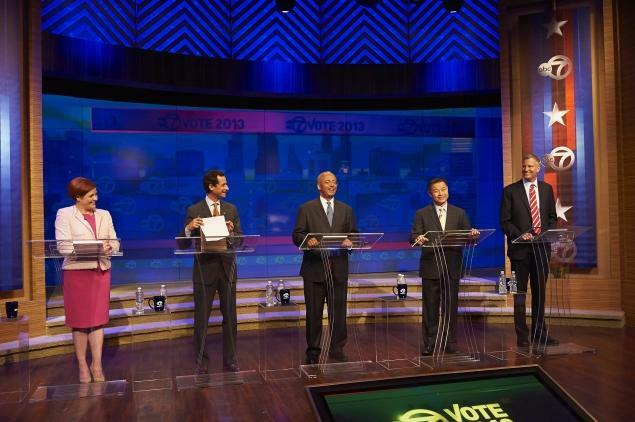 Why I Believe It Will Be A Bill de Blasio/Bill Thompson Runoff. After watching the Democratic mayoral debate, I am more and more convinced that it will end up to be a Bill de Blasio/John Thompson runoff. The poor showing by Christine Quinn and her high negatives show that the majority of Democratic voters will not vote for her. In fact, she probably lost the "Bloomberg Democrats" with her support of the elimination of some of the Mayor's enforcement initiatives. By contrast, I thought that Anthony Weiner was on the top of his game and had a good grasp of the issues. John Liu also came out well and I suspect that the downward slide in the polls by Weiner has ended and I predict both Weiner amd Liu will see an upward bump in the next set of polls. Bill de Blasio and Bill Thompson held their own on stage and except for a brief stumble by Thompson on giving municipal workers "retroactive raises", they did a good job presenting their case. Unfortunately, that left Christine Quinn who spend most of the debate trying to ignore the "third term issue" and the relentless attacks on how she "aided and abetted" the Mayor in overturning the will of the people by eliminating "term limits" ,her failure to pass legislation, and her continued insistance in talking past her allotted time while gnoring the moderator's attempt to go to another candidate or question. Below are the grades I assigned the candidates. How did the rest of you see it? Mayor Bloomberg's Legacy Is That The Achievement Gap Is Wider Now Than When He Came Into Office. Well, the results are in and the academic achievement gap between Asians and Whites on one hand and Blacks and Hispanics on the other is now wider than in 2002 when Mayor Bloomberg took office. Yes, that's right, not only has the Bloomberg Administration falied to close the academic achievement gap for the New York City students, but it has widened! Based upon the 2013 State tests the academic achievement gap between the Asian and White students and Black and Hispanic students has widened dramatically. While all groups dropped, It was schools that are in high poverty areas with an almost 100% minority population that dropped the most. For example District 7 saw a drop of 64% in English and 75% in Math. Citywide, black and Latino students showed a drop of 56% in English and over a 60% drop in Math compared to an average of a 37% drop in English and a 50% drop in Math for all students. That means that the drops for Asian and White students were much lower. Overall the New York City 2013 proficiency levels are as follows. That is an achievement gap that shows that Blacks and Hispanics are three times less likely to be proficent than Asians and Whites. Minorities werer less than twice as likely not to be proficient as Whites. For the Mayor who has demonized teachers, ignored parents, disrespecting communities, and only cares about the 1%, his legacy in education is a failure with a wider student academic achievement gap when he leaves office then when he started, The education Mayor, yeah right. To The Education Reformers. It Really Is About Community, Family, And Poverty. The revised New York State tests came out and as predicted, every school district saw drops in the passing rates. In the well-to-do school districts scores dropped by an average of 25% while the poor school districts saw drops of well over 50%. In looking at the data it's very obvious that community, family, and economic status are the major factor in the achievement gap between minority and non-minority school districts. 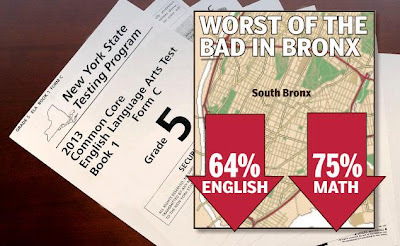 In this post I will compare two Long Island school districts only 7 miles apart that showed why the student academic achievement gap persists and its not the teachers! The Jericho school district is considered one of the top school districts in the nation while seven miles to the southeast is Wyandanch school district, one of the worst in New York State. What are the differences between the two school districts? Easy its about the community, family, and economic status. Let's compare the two school districts. Obviously, the demographics are opposite of each other as Jericho has only 3.6% of minority students. Moreover, 40% of the white student population are Jewish. On the other hand, Wyandanch has only 2.8% of its student body is made up of White and Asian students. Economic Status: Slightly more than 64% of school age children are economically disadvantaged compared to only 8% of the students in Jericho. While the official poverty rate of Wyandanch is 12% compared to 4% in Jericho, the poverty rate is concentrated in families that have school age children, that's why there is such a large percentage of economically disadvantaged students in the Wyandanch schools. 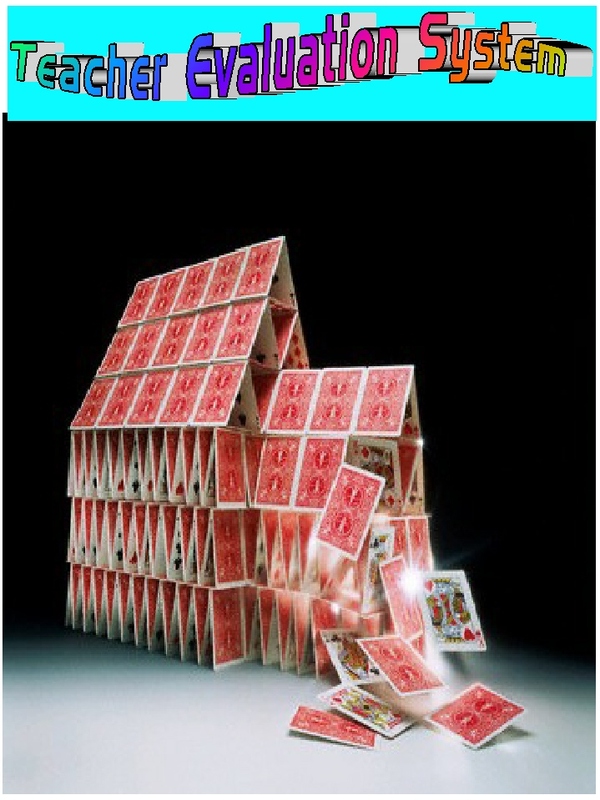 Single Family Households: Related to the economic status is the preponderance of single family households. In Wyandanch he percentage is an astounding 43% of all families compared to Jericho where only 8% of the population have a single parent household. Is it little wonder that the annual household income in Jericho is over twice the amount in Wyandanch? That brings me to the 2013 test scores how did the two school districts compare in passing the tests? While the education reformers can keep speaking the lies that "poverty is no excuse" the facts speak for themselves that the community demographics, the family unit, and the social-economic status are the main reason for the racial/income academic achievement gap and not the teachers they love to demonize are the blame for the abysmal test scores in poor minority school districts. Why The Open Market Transfer System Is A Joke. Today is the final day for teachers to look for vacancies under the Open Market Transfer System (OMTS) and just like the last few years, the OMTS is simply a joke when it comes to veteran teachers. 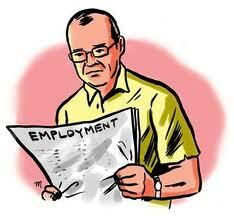 Only young and inexperienced (especially untenured) teachers are hired through the OMTS. With few exceptions teachers with ten or more years experience have little or no chance to even get an interview for these vacancies. Many of my colleagues applied to various positions only to get no response from the schools except for the required notification that the school received the application. I spoke to a friend who is an Assistant Principal and he told me that the principals are encouraged by the DOE to hire "newbies" whenever possible to reduce their staff budget costs and to find any reason possible not to interview ATRs. Moreover, the DOE and the UFT has done little to enforce the ATR Agreement and that has added to the problems for veteran ATRs. It matters little how effective a teacher is, its all about how much will the teacher cost the school and that is reflected in the OTMS hiring practices. Even in hard to staff shortage areas like Special Education,ESL and Earth Science, the DOE allows the schools to bypass the available ATRs and hire "newbies", some not even certified! Yes that's true, the Assistant Principal I spoke to told me that he was instructed by his Principal to do just that. Why does our union leadership stay silent when the DOE continues to abuse the process? I wish I knew but its obvious that the union leadership considers the ATR issue a low priority and they have other issues on the table to deal with. The DOE's motto is "children first.....Always" but in reality its not about whats best for the students but pure and simple discrimination against veteran teachers who were excessed. In effect its really "children last" as principals, with the encouragement of the DOE, rather hire inexperienced "newbies" than "quality teachers". Teaching New Americans In Summer School. It's A Pleasure. I must admit I wasn't looking forward to teaching high school science to recently arrived students to the country. Most of them had limited English language skills and some none at all! My students come from many countries, Spain, Ecuador, Columbia, Dominican Republic, Haiti, Greece, Russia, Korea, Burma, and China. The few students who speak passable English help the students by translating what I say and I have put them in groups to help their transition to an American education. One of the most important lesson that I have learned is how eager these students are to read and speak English to me. In the almost one month that I have had them, all of the students will read a sentence to me in English and try to answer questions in English. To tell the truth, I am very impressed with their efforts and proud of their progress. I also would like to point out that these "new to America" students are well disciplined with no serious behavior issues, despite struggling with the English language. Moreover, they meet me at the door with smiles and greetings when they enter the classroom and many seemed generally happy to be in school. Despite our language differences we have connected and I get little presents like Chinese tea, a Jello snack, or a candy bar, no, no apples, from the students as their way of saying thank you. To the Tweedies, nothing over $2! The appreciation goes both ways as I will do anything reasonably possible for these students to navigate their way in New York City's confusing maze of regulations. I find myself as a tour guide on how the students can take a subway to their various consulates in Manhattan and to the immigration offices downtown or what they must do to work. Furthermore, I have gained their trust and respect and when they are having issues or uncertainties with their situation (homesickness is common), they confide in me and I try to reassure them that in a couple of years they will be fluent in English and become a productive citizen of this great country. It seems to work as their frawn becomes a smile and they seem to try even harder to please me. Teaching "new to America" students has been a real pleasure and I hope I get that chance again to make a difference to those students entering the New York City school system since we both learn a great many things being in a classroom together. 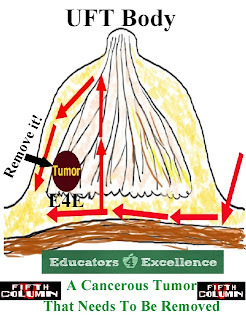 Why It's Important To Be In A Good School With The Teacher Evaluation System. Unless You Want To Be Terminated. Looming on the horizon is the New York State teacher evaluation system that will be a "house of cards" and eventually collapse, Unfortunately, when this does happen (2016-17?) the damage to the teaching profession will have been . done. Many veteran teachers, eligible.to retire will leave the school system and the "newbies" will realize that teaching is no longer their calling and leave for a less stressful and more rewarding professional office position. Worse, I foresee a large increase in experienced teachers who will be rated "ineffective" and get terminated, not because of their teaching ability but because of the "junk science" used and the student population they inherit. 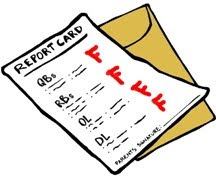 It's obvious to me that unless you are in a good school with supportive administration, an educationally sound student body, and engaged parents who provide adult supervision and support for their children, the teacher will be in big trouble under the teacher evaluation system. So think twice before accepting a position in a school that does not meet the three criteria listed above. Under no circumstance should you accept a position in a school that fails to meet any one of the three criteria, especially if a "Leadership Academy Principal" is in charge unless you want to be terminated in two years. Its not about better teachers, its about getting better students if a teacher is going to survive the badly flawed and rigged teacher evaluation system.